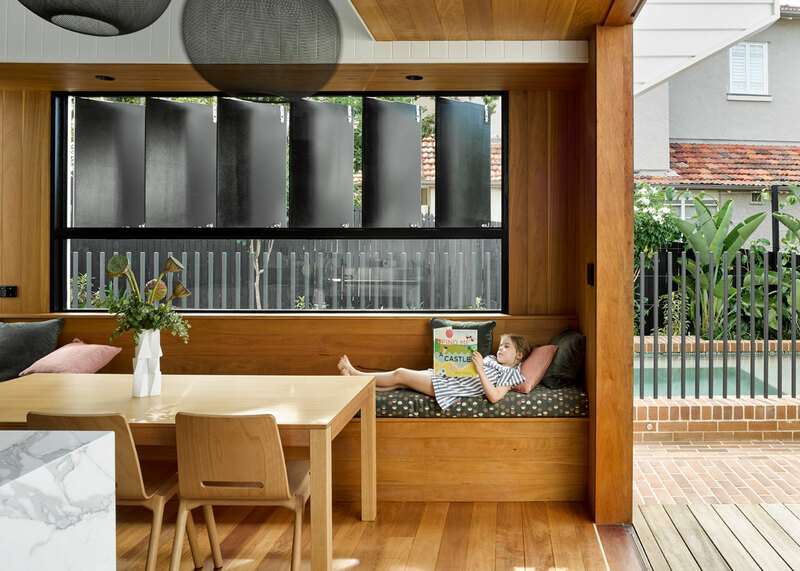 Crescent House is an alteration and extension to a post-war weatherboard house. The home originally belonged to its owner’s grandparents, so its renewal is powerfully tied to family memories and legacy. The design approach creates layers of connection with the outdoors — physical and visual. The planning preserves aspects of the original patterns of occupation, yet also opens the dwelling from front to rear. An internal stair and void occupies the space between new and old and brings light deep into the plan. The original bedrooms, bathroom and sleep-out configuration to the east has been retained. The western side of the house has been re-sequenced to create a sitting room, study and void, connecting the upper level with the new ground level extension. The design approach truly integrates interiors, architecture and landscape. The interior engages with its northern aspect, with cooling views into tree canopies and shaded landscape during summer. In the cooler months, the lower, more deeply penetrating winter sun is drawn in. The interior invites a conscious awareness of climate and context. A breezeway, the new void and operable building edges modify degrees of engagement. 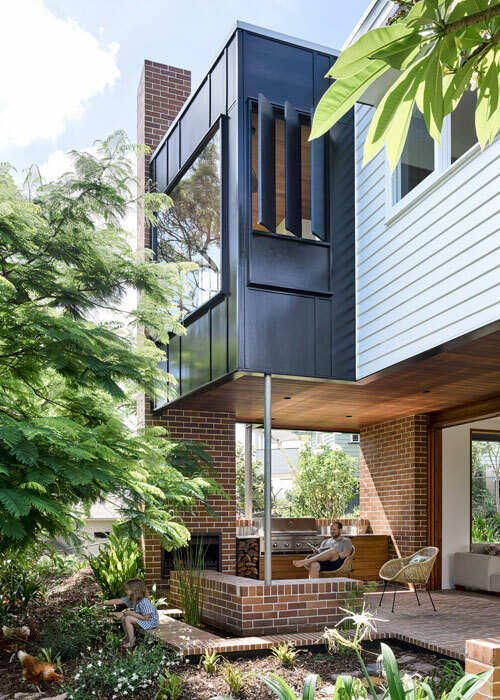 The crafted use of brick creates plinths for occupation and surfaces which flow between ‘inside’ and ‘outside’, further emphasizing the considered connections between interior and landscape setting. Working with the partnership Elvis & Rose, the architecture uses brick to ground new, crafted living spaces. 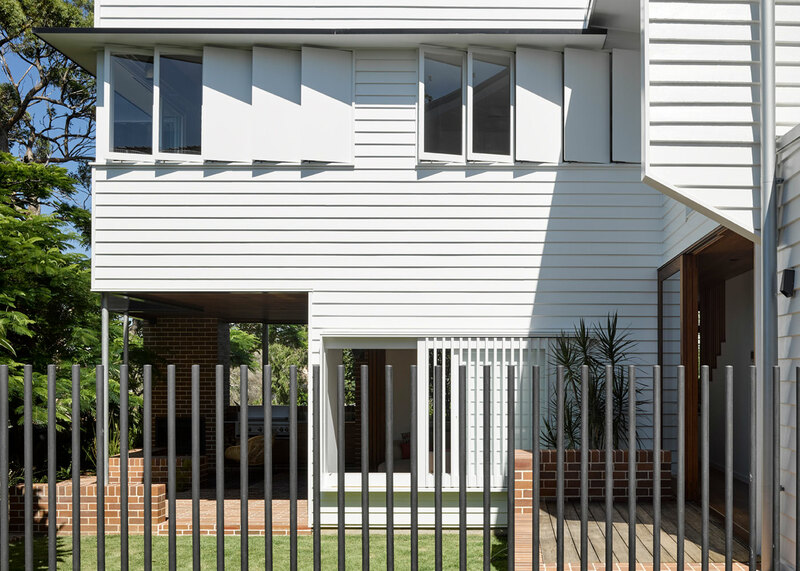 Crescent House was awarded Best in State, Residential Category, of the Australian Interior Design Awards 2018, the 2017 Think Brick Bruce Mackenzie Landscape Award, and was shortlisted in the 2018 Queensland Architecture Awards.